This dahlia is truly stunning! The picture doesn't do it justice. Dark red petals become increasingly darker at the tips - almost black. A dark, almost mirror-like gem in the center brings out the dark colors of the flower. 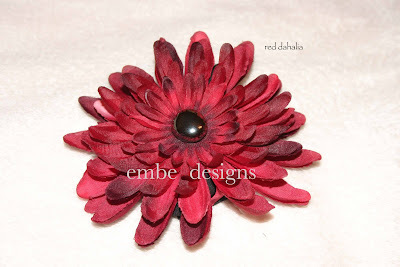 This flower would be perfect with a Christmas dress! 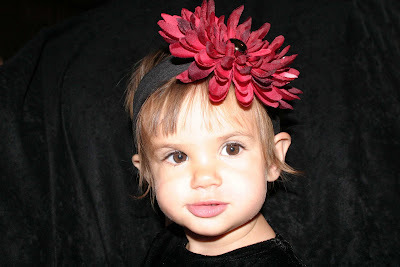 It comes attached to a partially lined alligator clip with a non slip grip or a soft, stretchy headband.